Does anyone have experience regarding fitting a sidestand enlarger to the XR with a low frame? I read somewhere, from one of the vendors, sorry, can't remember which one, that the Low frame sidestand pad is a different shape and the enlarger won't fit. Are they different? If so, has anyone bought an enlarger that fits the low version properly?? I have fitted one from GIVI and it seems to fit ok. Ordered the standard one for bike. Thanks Kenny M for your reply. Did seem strange that it stated that it would fit one but not the other. Anyway, Sounds like Givi will get a bit of business. I have the low bike and the Wunderlich side stand enlarger is perfect. Had one from the same manufacturer on my last bike, a GSA, and in 5 years it didn't fall off or let the bike fall over. 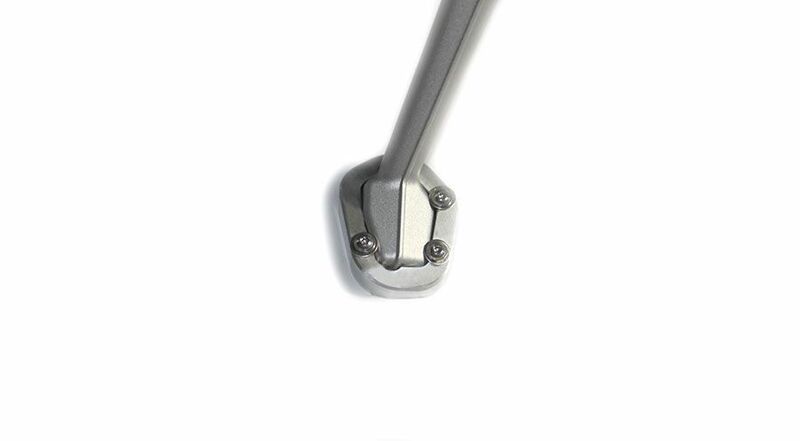 If you fit the Wunderlich one having used the bike for a while, you might need to do a little bit of filing the foot soft alloy side stand which gets slightly out of shape. It's that good a fit and worth it. I think, from memory, it was the Wunderlich one that said it wasn't for the low frame version. The website doesn't show that now so I'm guessing your experience proved that website wrong. Did anyone figure out which works on low suspension bikes? It's the SW Motech one the poster above I'm guessing was looking at, that says on their site it's not compatible with lowered bikes. When I asked them why, they said it's because there's a chance it may scrape when riding, if you take corners aggressively. Which doesn't make sense to me. There's other bits that are lower or extend farther out, no? 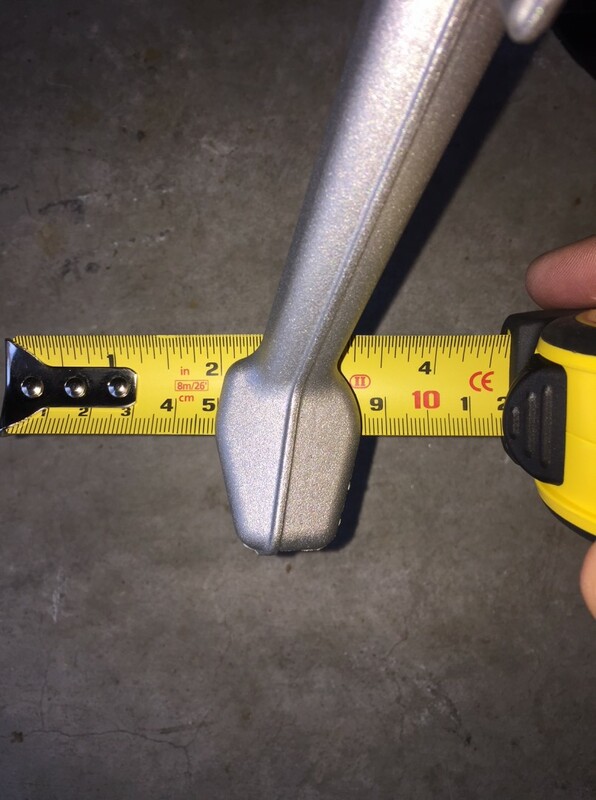 I thought it might have to do with the lean angle on the bike, when it's parked, in that because you're adding half an inch to the kickstand and raising its height, the bike might be too vertical? I have the same foot enlarger and I havent touched mine down yet and I have the Low version. There isn't much of a chicken strip left on the tires either. I take it you're referring to the SW Motech one? I was looking at my bike today, and the centerstand seems to be lower than the kickstand... So if something was to rub, I would think it would be that. But to complicate matters more, I had written to Hornig also, who make the same disclaimer, and their reasoning is because the foot on the low suspension kickstand is different than the regular kickstand. Now that one makes even less sense to me? They swear they sold the foot enlarger to someone with a low suspension, and it wouldn't fit on it. Do you think that's just some weird one-off, or is that the real reason? I'm leaning more towards the Hornig one, because I don't like the looks of the SW Motech as much... it's huge and I don't think I will ever take mine off road. I'm thinking doubling the size of the footprint should be plenty for most situations. Here's a picture of my kickstand - it's 3.3 cm across at the widest, and looks to me the same as the one in the Horning photo, which must be the regular one. I have the low frame bike and I've fitted the R & G enlarger and it's fine.